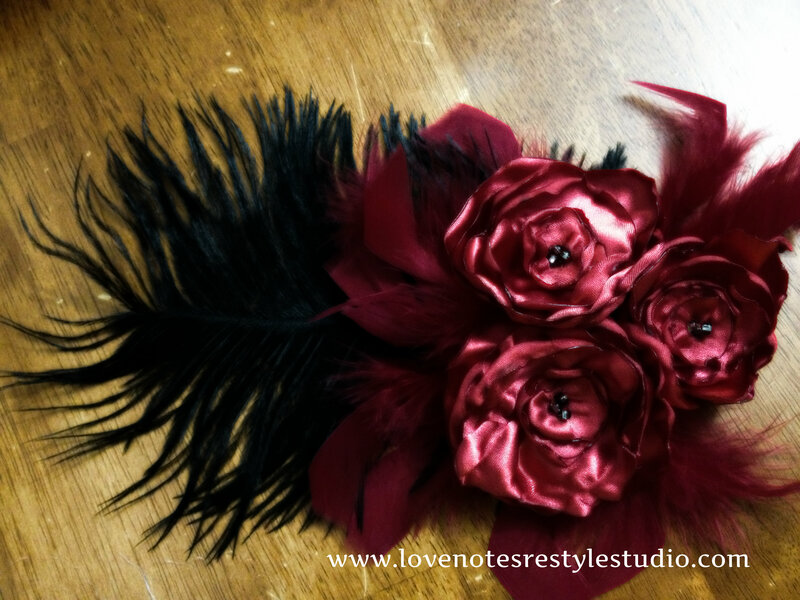 Our client Kadyn was looking for a fascinator to go with his outfit for a costume party. As we had worked on the Dreamcatcher Restyle for him he came to us for help. The flowers are made from a dressing gown and put together with some leftover feathers from a previous Fascinator Restyle. Luckily for us it was the same colour combination! Another successful restyle and Kadyn continues to be a happy customer 🙂 Here’s a picture of Kadyn fully transformed into Miss Vida Boem! Thanks again Kadyn for your continuous support! Beautiful! Thanks so much for sharing at Wednesday’s Adorned From Above Blog Hop. Pretty! Thanks for sharing @ Submarine Sunday! Thank you! 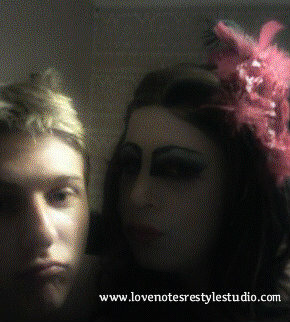 You just gotta love feathers! Pretty! I am following via FB & Pinterest!